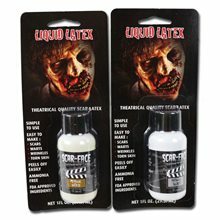 Liquid Flesh Latex For Prosthetics - 16 Oz.Includes: One 16oz Bottle of Liquid Flesh Latex.Our classic line of Natural Liquid Latex sports a subtle flesh tone. 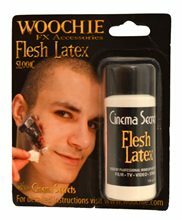 Use it to blend latex or foam latex appliances and to create dramatic age effects.Use this flesh latex to make your own prosthetic pieces. 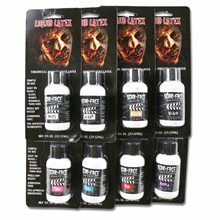 Create or use your own mold and this High quality latex to create high quality latex prosthetics. 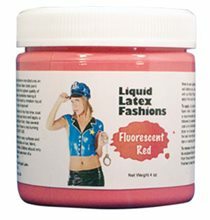 Liquid Flesh Latex For Prosthetics - 32 Oz.Includes: One 32oz Bottle of Liquid Flesh Latex.Our classic line of Natural Liquid Latex sports a subtle flesh tone. 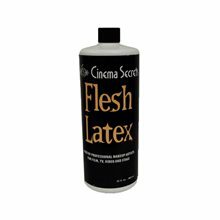 Use it to blend latex or foam latex appliances and to create dramatic age effects.Use this flesh latex to make your own prosthetic pieces. 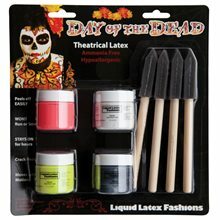 Create or use your own mold and this High quality latex to create high quality latex prosthetics.